* L-R Akwa United fc Chairman, Elder Paul Bassey and Media and Communications Manager of Dana Air Kingsley Ezenwa during Dana Air's extension of its sponsorship of the Club in Uyo recently. 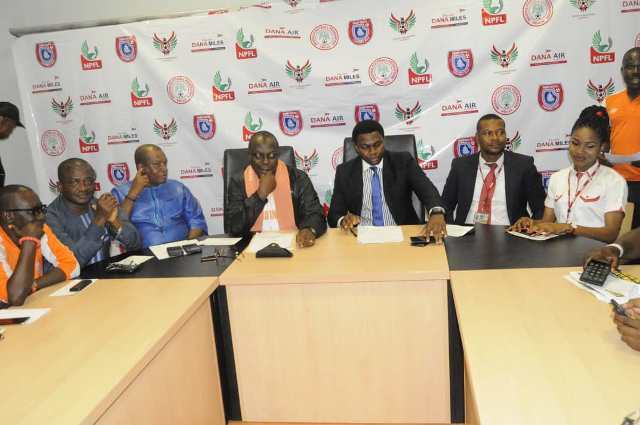 Dana Air, one of Nigeria’s leading airlines said it has extended its multi million sponsorship deal with Uyo based Akwa United FC of Akwa Ibom State for the 2018/19 League season. * Dana image maker Kingsley Ezenwa putting pen to paper while the Chairman of the Chairman of Akwa United, Elder, Paul Bassey watches on . 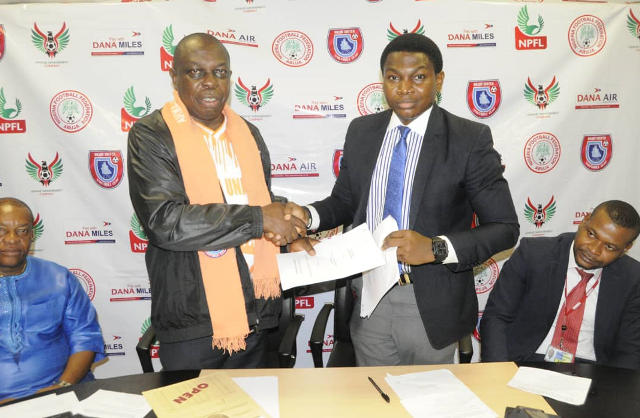 On his part, the Chairman of Akwa United, Elder, Paul Bassey described Dana Airlines as worthy partners and expressed delight that the contract has been extended for another year. 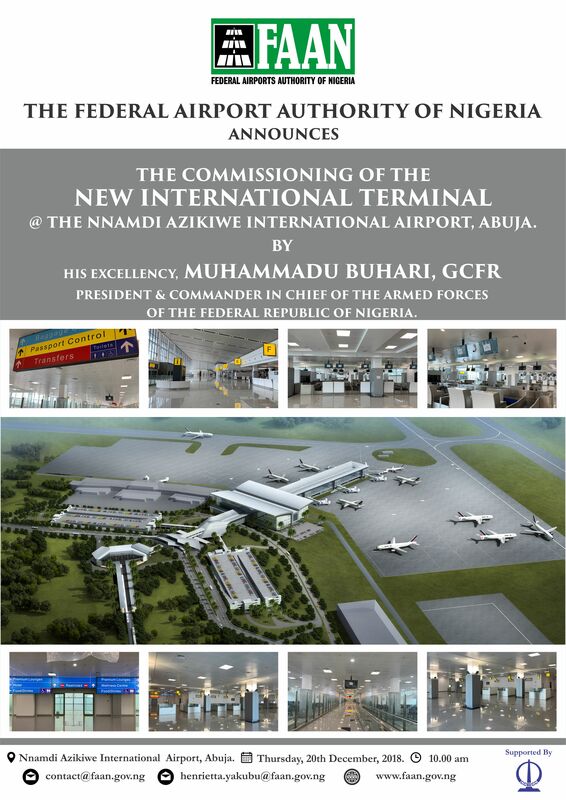 According to Bassey, “We are particularly grateful to Dana Airlines for this amazing partnership with our club. 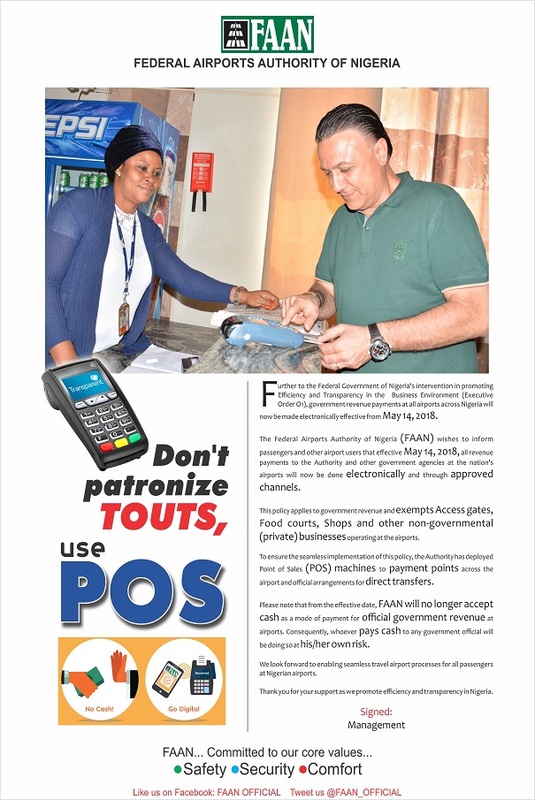 This partnership has relieved us of the stress of tedious road travels to league matches especially the northern and western parts of this country”. Recalled that Dana Air recently celebrated 10 years in Nigeria’s airspace with a record breaking load factor, an unrivaled on-time performance, world class in-flight service and customer-centric products and services. 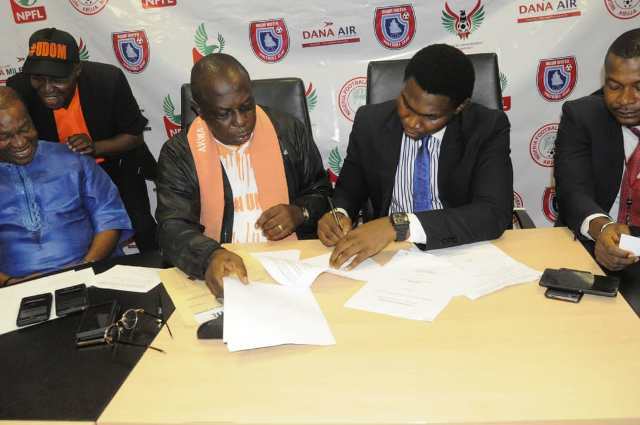 Be the first to comment on "Dana Air Extends Akwa United Sponsorship Deal To 2018/19 League Season"